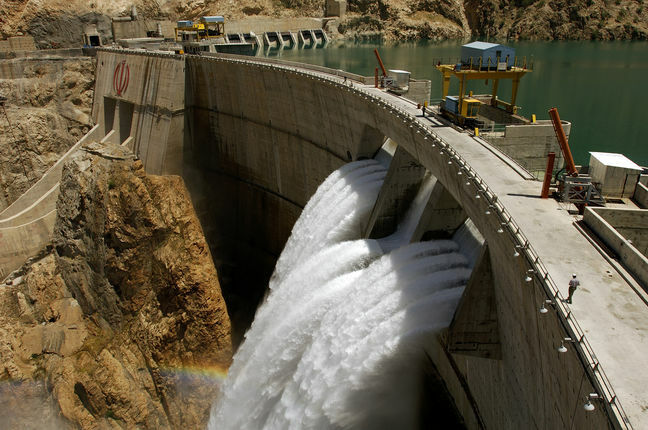 EghtesadOnline: Domestic water and power plans are expected to draw a total of €4 billion ($4.63 billion) in finance from Islamic Development Bank, ECO Trade and Development Bank as well as Asian Infrastructure Investment Bank, Iran’s energy minister announced. “Iran has earlier started [energy] projects worth over €2 billion through investment from such development banks, some of which have been completed,” Reza Ardekanian was also quoted as saying by Mehr News Agency on Tuesday. The energy minister made the statement on the sidelines of the 12th International Energy Conference, which was held on June 19-20 in Tehran. The main theme of this edition of the biennial conference was "Innovative Systems in Energy-Water-Environment Nexus". "The ministry has also attracted more than €2.7 billion ($3.13 billion) in foreign investment for water recycling, power plants’ efficiency and other infrastructural projects," Financial Tribune quoted him as saying. Stressing that the ministry’s measures are not limited to the development of production infrastructure, Ardekanian noted that public training and changing consumption habits are also on the Energy Ministry’s agenda, which will result in a reduction in consumption, pollution, emission of greenhouse gases and easing water shortage. Reportedly, about 92% of the country’s water resources are used up by unsustainable and wasteful farming practices. The country’s nearly two-decade struggle with drought, combined with high consumption and waste, has caused renewable water resources to drop under 120 billion cubic meters. However, by some accounts, this figure is closer to 88 bcm. Referring to the relationship between energy issues and the environment, the minister said one of the Islamic Republic’s energy policies is setting a roadmap of the lucrative industry’s development in accordance with Iran’s international environmental commitments. “The country’s collaboration with institutions like World Energy Council, International Energy Charter and the United Nations Climate Change Conference indicates Iran’s serious determination in this regard,” he said. According to Ardekanian, Iran has voluntarily devised a program to curb the emission of greenhouse gases by 12% in line with the Kyoto Protocol and Paris Agreement. Underlining that Iran has adopted a five-year national strategic plan on climate change, the minister said the plan encompasses policies on food security, water efficiency, restoring ground water resources and reducing emissions of air pollutants. “As a developing country with growing needs, Iran is looking to fast-track the expansion of energy resources and has considered a low-carbon economy in its development approaches since 2013 [marking the start of the President Hassan Rouhani’s first term in office],” he said. Ardekanian stressed that issues like reducing energy subsidies, cutting the emission of main atmospheric pollutants, enhancement of energy efficiency rate, improvement of fuel quality and raising the share of renewables in national energy basket are all embedded in the program.